Rendezvous Guest Hearing Echo - Help Me Start Over With Audio? So, no matter what I do on a live stream last night, my Rendezvous guest always hears a disturbing echo of themselves in their headset: https://youtu.be/_rUsrvGdlk4?t=10m30s I tested this myself also the following day I cannot for the life of me work out how to fix this issue. On the Mac I have iShowU Audio Capture and Loopback installed. Thanks guys, looking forward to sorting this out! Wirecast 12 or 12 Pro? Wirecast 12 has new audio mixing capabilities with the Pro version having a bit more control. In either case, you may want to check what you're sending. Is that second screenshot from Wirecast 12 Pro? Benon Koebsch Ok so that second screenshot is from the pro version. I'm still 100% hitting a wall here. No combination of "what I'm sending" works - every single time my guest heres a duplicate of themselves. Benon Koebsch Perhaps the guest is having a monitoring issue on their end. The guest will only be sent what you send them. You may want to try joining the Rendezvous locally from another computer (make sure all computers are only using headphones) and see what you hear. You should only send your guest your mic or the live shout out (which is the name of the document). CraigS I've been trying this with my iMac and a MacBook Pro in the other room and also a iPhone upstairs. The ONLY way I could send a feed back to the client that DID NOT include their own voice was to setup a unique software device in Loopback Audio and in that device use Audio Hijack 3 to only send specific channels from my Apogee rack back to Rendezvous. Of course, all this seems like a tonne of work for software at this price range. I know, I know... make a support ticket etc etc. But far out, the price you charge for this software and even the BASICS of audio are not covered? Ridiculous! The ONLY way I could send a feed back to the client that DID NOT include their own voice was to setup a unique software device in Loopback Audio and in that device use Audio Hijack 3 to only send specific channels from my Apogee rack back to Rendezvous. If you send them live program out they're going to hear their own voice if they are speaking live on air. If you send only your voice that's all they will hear. The latter is what I recommend if they are talking on air. CraigS I've done that. Only sending them my Microphone. They hear themselves. Benon Koebsch But that doesn't preclude a monitoring problem on their end. Can you test locally as a guest (ideally in another room) and see how you sound from a guest perspective. Please explain what you heard when you talk as a remote caller. Ideally you should do this with just webcam and built-in or USB mic and you should monitor on headphones. As part of the test only send back the host mic (which should be silent if no one is at the other computer and speakers aren't feeding back). If we're not getting this report from lots of other users then it would seem to be config specific. CraigS This is exactly what I have done mate. I set up a laptop in one room and a iphone in another and then I sent myself the link to join both of them. From the host I then played music from itunes using LoopBack and IshowU to route that audio into Wirecast. I can hear the music on the guest computers perfectly, then on the guest end I talk (using microphone on headphones plugged into the headphone port) and I hear a delayed echo of my speech. 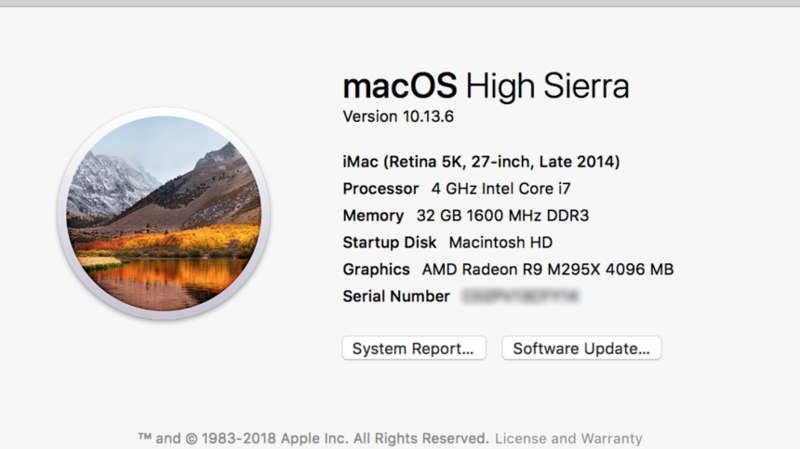 Audio Hijack 3 has resolved the issue, but for anyone else out there having this issue I'd suggest there is some audio conflict issues when using a TB connected audio device (none of my audio sources are USB). Benon Koebsch Please don't use any third party software. Do not have anything playing. Simply listen to Rendezvous with no other sound. Given you're using Loopback and Audio Hijack resolved the issue that would be something specific to your configuration. We can't troubleshoot third party software. Rendezvous itself when using only the host and guest audio sources and sending only the host back to the guest, would not have any echo. CraigS I'll make a video to show literally what you are saying is simply not true. The example I have illustrated above was me trouble shooting the issue, but I will happily make that video to show you it not working as intended out of the box. Benon Koebsch We're not hearing reports of this from other users so it must be something specific to your setup. Something is feeding back the guest's audio to the guest. Your setup involves using Loopback as one variable. In order for us to troubleshoot something, you'd have to strip the setup down to Host and their mic and gues and their mic and nothing else. That would be the "control." if that's not working we'd investigate. Once you add in other variables we'd assume those variables may be a factor. CraigS What would you advise for my situation? I need to have Loopback running as that feeds "System Audio" into Wirecast for TTS situations when someone donates, super chats or becomes a subscriber. We've already established the reason for using Loopback in other threads as for some STRANGE reason Wirecast refuses to take audio from a web browser source (??!!!) - Yes, ticket already submitted - no need to go down that path. I don't think there is any point me running the test as mentioned above as it's clearly going to be a LoopBack issue. The problem here is that if Wirecast had ACTUALLY been a complete live-streaming package, worthy of it's $$ tag we would not have to resort to external software to make it function. No TTS on a live streaming platform??? Fail! What would you advise for my situation? First let's make sure Rendezvous itself is OK so we don't have an issue we need to address. If it's OK then you're heading down a good path. Perhaps Dante Virtual Soundcard might offer you more control than Loopback if need be. 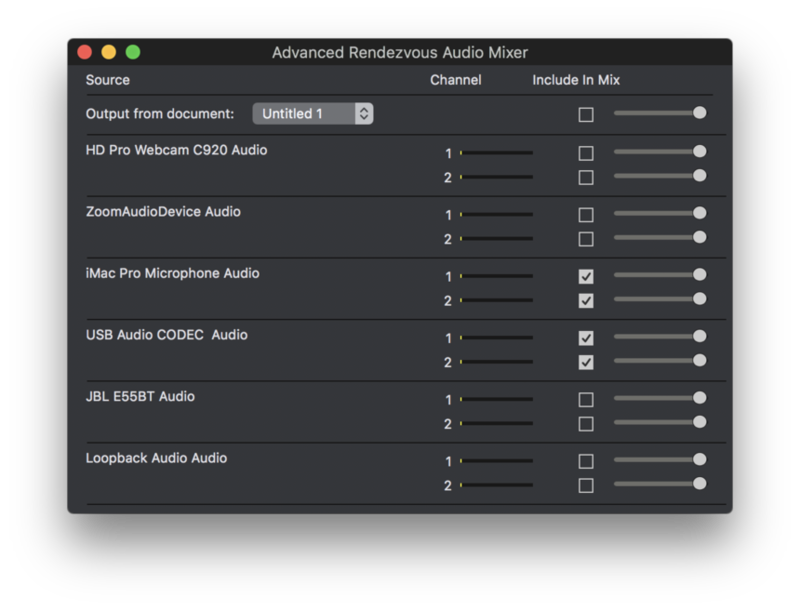 We are certainly working to improve Wirecast's inbuilt audio features as the new Rendezvous mixing features in Wirecast Pro 12 show. You certainly can make feature requests. Keep in mind that if third-party developers have particular expertise duplicating those efforts may not be the best use of resources. Consider how Wirecast partners with NewBlueFX for Titler Live integration. Other partnerships might be possible. Do suggest them. If you'd like to send the developers your direct comparison between Wirecast and OBS they'd certainly listen. Wirecast does have integrated advantages based on things the developers have worked on though. CraigS Actually I’m facing this same exact issue now. Ive tried multiple guests and they all hear their voice as an echo. Their voice come through my headphones perfect, but they hear the echo. I agree with Benon Koebsch for the price of this program there’s too many jumping through hoops to get the most basic functions to work. Sorry to be snide, but from my experience with this software I would categorically not advise anyone use it. Click the link and set a reminder if you're interested. Greg Kuhnert Would you be discussing how to fix this issue? Apparently, there are thousands of users who have professional confidence in Wirecast. Sorry, your personal experiences differ. Given the competitive market, I have a hunch some are having very different experiences than you may have. Sometimes an ambitious program can result in use cases in which some users have an issue not experience by many (possibly the majority) of others never experience. This is why we examine individual use cases. When customers report an issue, especially when common equipment is involved, we attempt to reproduce it. If we can't, it's possible many others can't as well. When it comes to Rendezvous, given the peer to peer technology behind WebRTC and the use of TURN servers, it's possible issues may be circumstantial. While we work to address those problems, one shouldn't assume most users are experiencing these problems. In order for us to find out why a subset of users are experiencing this we're going to have to gather information from each of you. This may mean knowing where your guests are generally located and the devices and/or browsers they are using. If you all reference this same thread it may help us find what elements you have in common. Mr. Thompson - It was total coincidence - but my co-host Jens dropped out before the show, and was unable to get back in. When this happens, I have found that going to the rendezvous dashboard - disconnecting, and reconnecting to the same session will get them back in. HOWEVER, that is only useful if you have one get. If you're a pro user and have multiple guests connected, you may not want to disconnect 7 guests just to get one guest reconnected. Its not a perfect answer, but it works for single guest scenarios.